As we told you earlier, in a post, about this. Now after Qubee Prepay, Wi-Tribe Pakistan has introduced prepaid wireless broadband packages that will let customers to control their Internet spend. 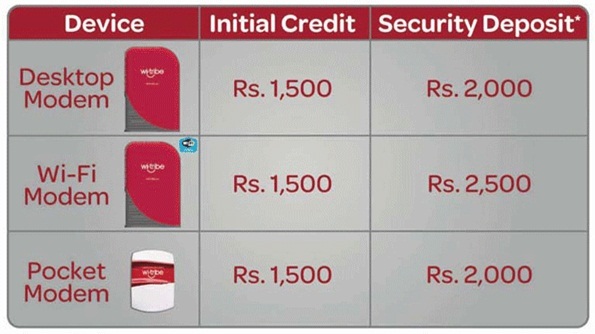 Wi-tribe goes Prepaid with a Hourly Based Prepaid Introductory offer and four New packages, yes, there are four different packages with validity of 7, 15, 30, 30 days. All new packages come with limited data volume. You need to have Wi-Tribe CPE / Device (Desktop, Wi-Fi or Pocket Modem), to start availing any of these packages. Once you have the Device you can recharge your account with vouchers / scratch cards and start surfing the internet. Note: There are no activation charges and the Initial Amount Includes 90 Days (3 Months) worth of Internet. Three Days Money Back Guarantee. Security Deposit Refundable Upon Return of Device.